In Multiplicalia we treat the information provided by interested individuals in order to meet the requests for contact received, manage product orders, as well as, where appropriate, the shipping, billing and collection of the same, to address possible claims of users and customers, to manage the sending of their own or third party information that may be of interest to you and to send you our newsletter or Newsletter. The personal data provided will be kept as long as the business relationship is maintained, or its deletion is not requested by the interested party. There may be purposes that are permitted under other legal bases; In such cases, we will do everything possible to identify the legal basis in question and communicate it as soon as possible as soon as we become aware of its existence. The receivers will be Multiplicalia Online S.L., company in charge of the Multiplicalia server and company of management and sending of electronic messaging as direct marketing newsletters. The data collected will be used in Multiplicalia for internal administrative purposes, including the processing of personal data of customers or employees. Although in the transmissions of data through the Internet or from a web it is not possible to guarantee an absolute protection against intrusions, both we and our server company, we try our utmost to maintain the physical, electronic and procedural protection measures necessary to guarantee the protection of your information in accordance with the applicable requirements in terms of data protection. All your data is stored on secure servers (or secure physical copies) of our property or of our company in charge of the Multiplicalia server, and to access and use them our security criteria and policies (or other equivalent of our company) are applied. in charge of the server). On the other hand, part of the information collected with third-party companies will be shared, in order to send the user advertising and commercial information of direct marketing type (as a whole “Ads”) about products and services offered by Multiplicalia and by third parties, adapted to the interests of the user. We will obtain the user’s consent to treat your personal information for direct marketing purposes. Anyone has the right to obtain confirmation of whether we are treating personal data concerning them in Multiplicalia, or not. The interested persons have the right to access their personal data, as well as to request the rectification of inaccurate data or, where appropriate, request its deletion when, among other reasons, the data is no longer necessary for the purposes that were collected. In certain circumstances and for reasons related to their particular situation, the interested parties may object to the processing of their data. Multiplicalia will stop processing the data, except for compelling legitimate reasons, or the exercise or defense of possible claims. Multiplicalia collects personal data from users of the Website, including, without limitation, name and surname, access password, contact telephone number, contact address or e-mail address (“Personal DataData”) through From various means, including without limitation, the different forms that appear on the Website or through cookies (in accordance with the provisions of Section 2), which will be included in an automated file Multiplicalia. The company will consider as correct and updated the Data you provide us. The processing of data is carried out by Multiplicalia with, inter alia, the purposes of answering the contact requests received, managing the orders for products and, where appropriate, sending, invoicing and collection of the same, to attend to possible Complaints from users and customers, to manage the sending of own or third party information that may be of interest to you and to send you our newsletter or Newsletter. In addition, the Website may include cookies from third party service providers and / or content. Multiplicalia does not control the introduction of such cookies and consequently will not be in any case responsible for any treatment activities carried out by said third parties in relation to the Data collected through the cookies introduced by them on the Website. For more information, read our Cookies policy here. 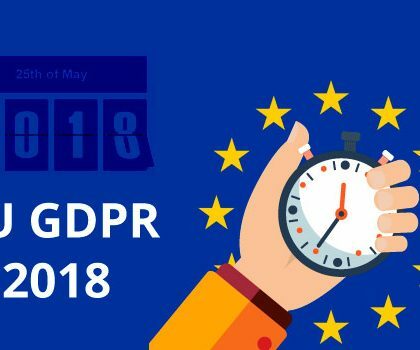 Beyond the cases foreseen in the legislation on data protection, Multiplicalia may require the provision of Personal Data or part of it to third party service providers, such as computer companies, hosting service providers, etc., With the purpose of the proper maintenance and operation of the Website. Likewise, Multiplicalia will be able to communicate to files related to the fulfillment or non-fulfillment of monetary obligations your Data in case of breach by you of the payment obligations and provided the conditions provided for in Article 38 of Royal Decree 1720/2007 are met, Of December 21, by which approves the Regulation of Development of the Organic Law 15/1999 of Protection of Personal Data. You can exercise at any time your rights of access, rectification, cancellation and opposition to the treatment of your Personal Data, by sending an email to the following address info@multiplicalia.com. Your request must contain the following information: name and surname, address for the purposes of notifications, photocopy of your ID or passport and specific request.